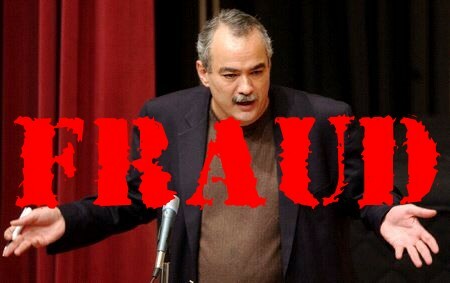 Walid Shoebat - A Fraud, nothing more. I usually tweet to my twitter account using a desktop software solution, except when I get new followers, I usually do a quick check on them by logging in to twitter directly, reading their old tweets and any websites they are linked to. To my surprise, I noticed I was being followed by Walid Shoebat. For those of you not aware of who this man is, let me put it simply. This is a man that claims to be a former terrorist member of the Palestine Liberation Organisation (PLO). The immediate question that comes to my mind is why is this self proclaimed terrorist still walking around freely, why has he not been deported from the US? The answer is simple, he was never a terrorist, and his entire story is false. This is a man converted from Islam to Christianity, fair game, that’s his choice. However, since post 9/11 this man has done one thing and one thing only, attempted to defend Zionist Israel in the media. How does this pro-Zionist attempt the defence of Zionists? By inciting hate of Islam, by being the voice of Islamophobia. As a (self proclaimed) former Muslim terrorist, he claims to have insight into this world of terrorism, and he talks about Islam as though he is an expert on Islam. I tell you now this man has no knowledge of Islam, and I am in serious doubt as to truth of his story. If you actually look at some of his videos where he tries to explain Islam, he is simply someone who has misinterpreted the Qur’an, and has led a life where his mother was oppressed, lived in a place where children are taught from childhood to die for the cause of Allah etc etc. All he’s done is voiced his views of Islam as facts, basically, he is promoting hatred of Islam. Below is an article that was posted in the Jersualem Post of all papers exposing this Islamophobe. This is the story that Shoebat, who converted from Islam to Christianity in 1993 and has lived in the United States since the late 1970s, has told on tours around the US and Europe since 9/11 opened the West’s public consciousness to the dangers of Islamic extremism. Shoebat’s Web site says his is an assumed name, used to protect him from reprisal attacks by his former terror chiefs, whom he says have put a $10 million price on his head. Now he and two other former extremists are set to appear along with US Senator Joe Lieberman, Ambassador to the US Sallai Meridor and other notables at an annual “Christians United For Israel” conference in Washington in July. The three “ex-terrorists” have appeared previously at Harvard and Columbia universities and, most recently, at the US Air Force Academy in Colorado, in February, at a conference whose findings, the organizers said, would be circulated at the Pentagon and among members of Congress and other influential figures. The paper described Shoebat as a self-proclaimed “former Islamic terrorist” who said that Islam was a “satanic cult” and who told the crowd how he eventually accepted Jesus into his heart. However, Shoebat’s claim to have bombed Bank Leumi in Bethlehem is rejected by members of his family who still live in the area, and Bank Leumi says it has no record of such an attack ever taking place. Shoebat’s claim to have been a terrorist rests on his account of the purported bombing of Bank Leumi. But after checking its files, the bank said it had no record of an attack on its Bethlehem branch anywhere in the relevant 1977-79 period. He argued that Israel should retake the Gaza Strip and rehouse Jews there, regarding Gaza as Jewish by right. “If a Jew has no right to Gaza, then he has no right to Jaffa or Haifa either,” he said. He told the Post he had set up his Walid Shoebat Foundation to educate Americans as to why the US should support Israel. Shoebat said the foundation had reached out to over 450 million people. He said it held events where he and others like him – whom he called “ex-terrorists” who have become Zionists – spoke about their views to Jewish, Christian and secular audiences. “It was just an old time gospel hour: ‘Jesus can change your life, he changed mine,'” Howard said. If you do some more research on this guy, you find all sorts of holes. He claims to have been part of a radical Islamicist group at a time when they were not around. They started appearing in the 1980s, so unless he set the trend for radical Islamicist groups, his story isn’t adding up. He also mentions how he was brought up to hate Chrstians and Jews and kill them all, however, there were Palestinian Christian leaders within the PLO. I for one do not believe a word that comes out of this man’s mouth, a man who cannot prove that he was ever a terrorist. He can lie all he want, he is simply profiting from Islamophobia, preaching hate of Islam and as a result more profit for himself. What a sell out if he has left Palestine to support Israel, what a shameless man if he is simply doing what he’s doing for money. I do not believe him to be a credible source of information, and I hope that you will agree with me on this point.